Home » Service Manual Catalog » EPSON Adjustment Programs » InkJet printers » AP_WF4630 I have paid for Reset Key but not received yet. 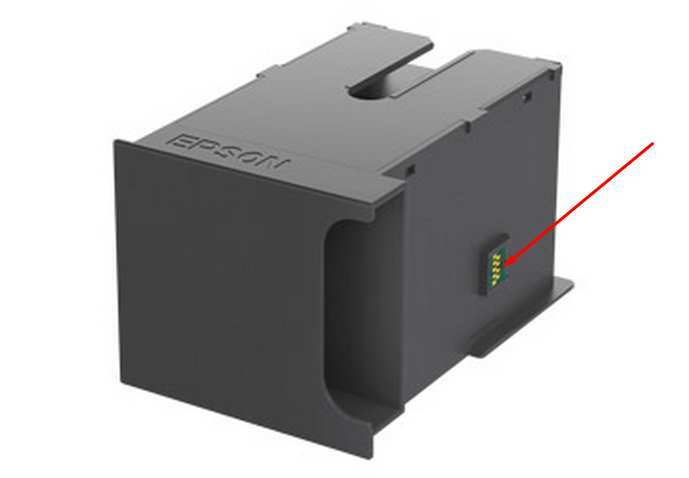 Epson WorkForce WF-4630, WF-4640, WF-5110, WF-5190, WF-5620, WF-5690 (EURO) Ver.1.0.7 Service Adjustment Program FULLNew! This adjustment program is developed for making printers adjustments, Ink charge, paper feed adjustments, printhead power cleaning etc. This adjustment program DOESN'T HAVE Waste Ink Counters Reset function. 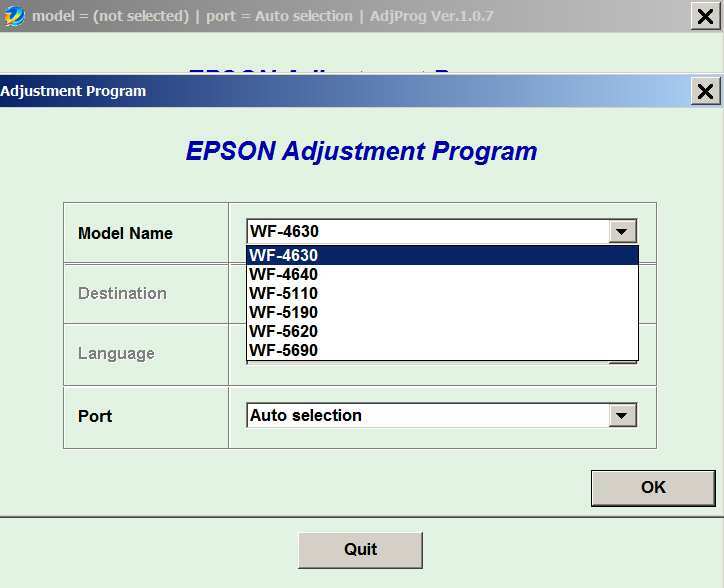 The Epson Adjustment Program for New model Epson WorkForce WF-4630, WF-4640, WF-5110, WF-5190, WF-5620, WF-5690 can be used under Windows only (Millenium, 2000, XP, Vista [in compatibility mode]). We recommend reading the Epson WorkForce WF-4630, WF-4640, WF-5110, WF-5190, WF-5620, WF-5690 Service Manual before using the adjustment utility. This printer models have separate Waste Ink Maintenance Box with its own IC chip. You can replace Waste Ink Maintenance Box or reset the chip on the Waste Ink Maintenance Box. Read more about how to reset the Waste Ink Maintenance Box. Thanks for this amazing software! This really helped me in my issue with Epson L200 Printer. More powers to the devs of this software. Notify me of updates to Epson WorkForce WF-4630, WF-4640, WF-5110, WF-5190, WF-5620, WF-5690 (EURO) Ver.1.0.7 Service Adjustment Program FULLNew!